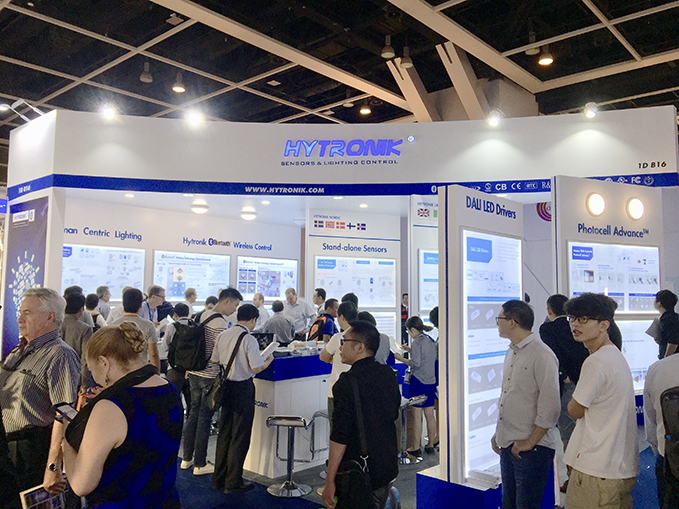 More than 2,700 exhibitors attended the 2018 HK Lighting Fair (Autumn Edition), making it the Asia’s biggest lighting event! 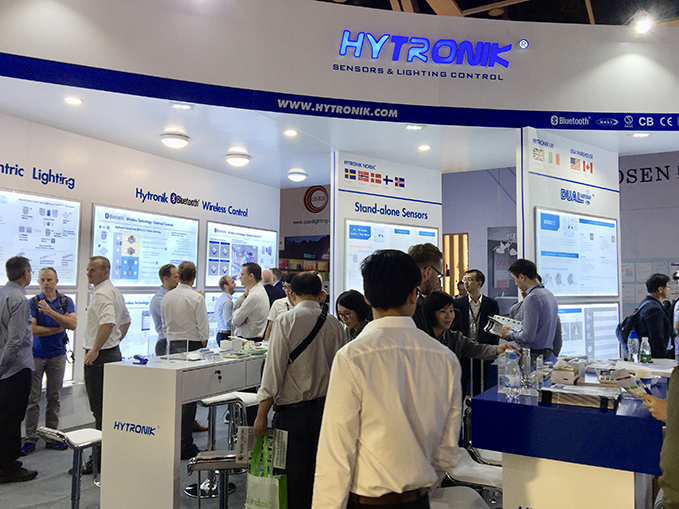 We want to thank all those who attended and made time to visit our stand 1D-B16 to check out Hytronik’s latest developments. This year we exhibited a range of Bluetooth controls which included PIR and Microwave occupancy sensors, wireless dimmer modules, LED drivers and touch scene panels suitable for many fixture designs and a wide range of applications. To support our Bluetooth Wireless technology products, Hytronik has launched our own APP which is designed for the entire range of controls; it enables all the settings to be programmed from the single APP, ensuring interoperability and compatibility across the project. We have also extended our Human Centric family, and introduced our 2 new models HBHC25 & HBHC26 Bluetooth enabled sensors. They offer effortless wireless commissioning and customizable tunable white profiles (known also as circadian rhythm) to be programmed from our App. With user control now available from our stylish wireless wall panels, the system is quick to install and remains flexible to the changing needs of the space. For further information, please do not hesitate to get in touch with us at info@hytronik.com, or contact your local Hytronik representative. Copyright © 2018 www.hytronik.com All Right Reserved.